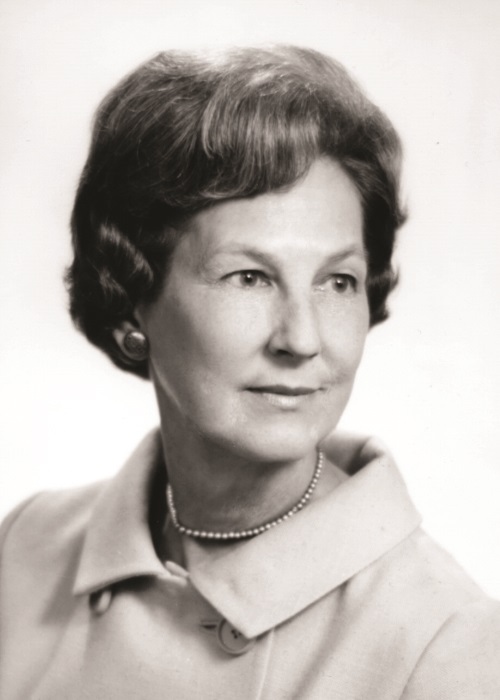 A native of Baltimore, Maryland, Georgeanna Seegar Jones (July 6, 1912–March 26, 2005) received her medical degree in 1936 from Johns Hopkins University, where her work researching pregnancy hormones advanced the understanding of reproductive medicine and was later used in developing home pregnancy tests. In 1938 she became the first full-time reproductive endocrinologist at a medical school. For the next four decades, she also served as the chief physician at the Gynecological Endocrine Clinic at Johns Hopkins Hospital and director of the facility's Laboratory of Reproductive Physiology. In 1939 Jones established a Division of Reproductive Endocrinology at John Hopkins, which made great advances in the burgeoning field. In 1978 Jones and her husband, the physician and surgeon Howard Jones, retired to Norfolk and began teaching at Eastern Virginia Medical School. About that time they assisted a British team in developing the world's first in vitro fertilization process. Seeking to duplicate the IVF process in the United States, Jones and her husband established a clinic at EVMS, which led to the 1981 birth of the first baby in the United States conceived through in vitro fertilization. Expanding the clinic, in 1983 they established what today is known as the Howard and Georgeanna Jones Institute for Reproductive Medicine. Ever the teacher and scientist, she authored textbooks and articles that served as the foundation for students, physicians, and scientists around the globe. The recipient of many honors during her long career, Georgeanna Seegar Jones mentored numerous female physicians and is credited with inspiring generations of women in the medical profession. Image Courtesy of Eastern Virginia Medical School. “Georgeanna Seegar Jones ,” Virginia Changemakers, accessed April 21, 2019, http://edu.lva.virginia.gov/changemakers/items/show/356.